The cult comedian uses Twitter not to plug her career or share jokes but to raise awareness of political causes. Vocal on cuts to library services (“how inspiring it is to sit in the reference section and just dip into different books?”), she’s also corralled her followers into writing to their MPs to vote down the NHS bill. 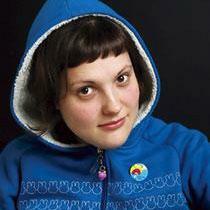 Josie Long is a comedian.